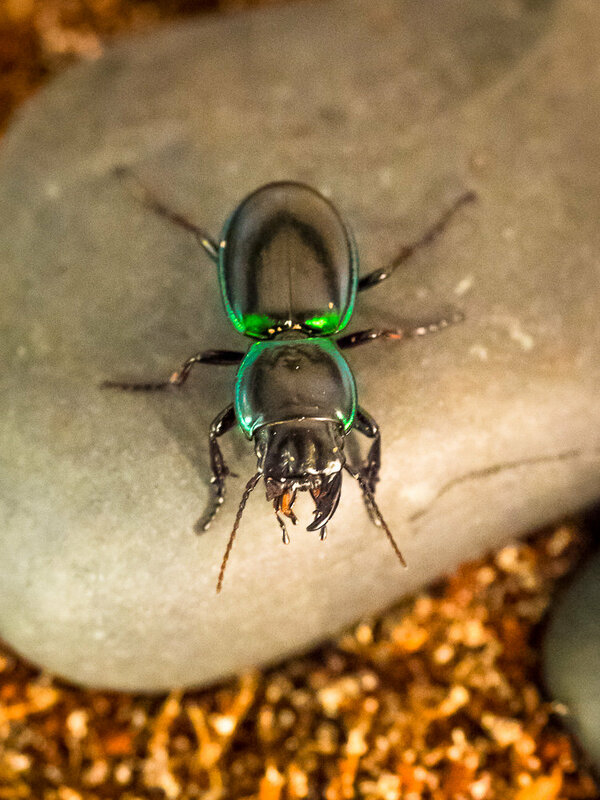 A friend of mine found a pair of Pasimachus beetles in an Arizona canyon and snagged them for me. I can't get over how pretty they are! I have them in a sand/coir mix with some cork bark. They've been busy mating and chowing down on mealworms. The one I photographed is missing a mandible but doesn't seem to have any issues devouring prey. I love those carabids. I often see them in Madera Canyon running across the road. Sometimes they are just all black but sometimes they have that cool metallic green outline.